It’s been over 15 years since Treasure released its spiritual successor to Radiant Silvergun. As a SHMUP, Ikaruga proved divisive upon release due to its puzzle elements, but it’s these same dynamics that make it age so much better than many of its contemporaries. While many shooters are difficult to go back to due to their reliance on being designed around eating player’s coins, this more modernised take has aged gracefully due to its innovations. 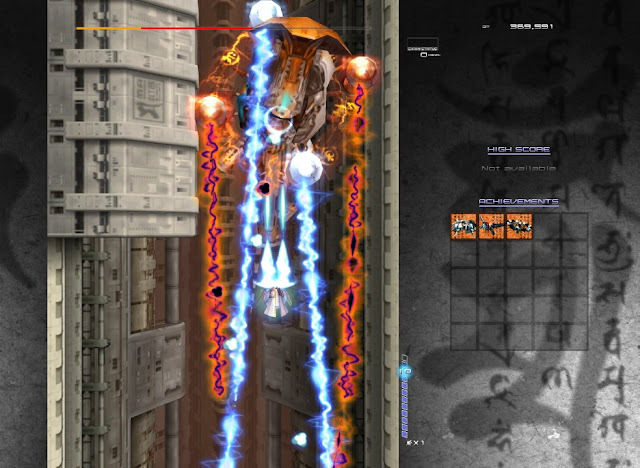 As previously mentioned, Ikaruga incorporates some puzzle elements that make this just as much about the player’s strategies as their reflexes. There are two different types of ships and bullets in the game and the player can absorb damage by switching to its corresponding color. 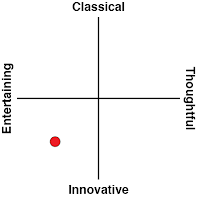 It makes some of the early stages (especially on the lower difficulties) overly easy, but it quickly becomes a masterfully designed dynamic that constantly has the player focusing on several things at once. 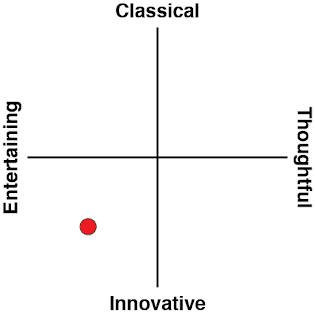 It’s an intense gameplay loop, but one that is a joy to master. Considering the 15th anniversary of Ikaruga’s original release just recently passed, it’s a bit disappointing that the latest port wasn’t more of a love letter to the original. There’s a gallery with some rough sketches and cool pieces to look at, but it doesn’t feel like Treasure’s legacy is truly celebrated. Some additional documentation on how the game came to be would’ve been appropriate, and it feels like a missed opportunity. Still, it’s hard to be upset when the core gameplay has still held up so well. This isn’t a game to merely be enjoyed due to history or nostalgia, but a mastercraft of game design that will forever be a delight to come back to. The high level of difficulty and different possible play styles (such as beating the game without ever firing a shot) makes it so players are constantly learning more about the in-game systems as they replay the game. In this way, Ikaruga’s short length is a benefit rather than a hindrance. In total, there are three separate difficulty options to choose from. The easiest doesn’t feature any return fire from foes, while the hardest is a constant barrage of obstacles and bullets for the player to avoid. This, when paired with the option of infinite continues, allows for even the most unskilled of players to get through the game. 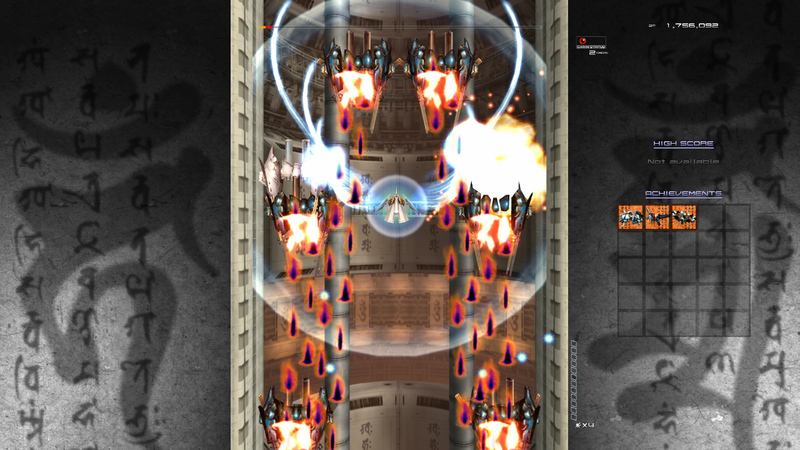 The real fun comes not in completing Ikaruga, but by the player challenging themselves to get higher scores and learn the additional difficulties. On the hardest difficulty, there’s nothing quite like the feeling that comes from chaining together attacks (done by defeating the same color of ships in sets of three) while also rapidly switching ship colors to avoid gunfire. There’s a real beauty to the action. A bullet-filled ballet that is made all the more dynamic thanks to the game’s wonderful soundtrack. It’s also worth mentioning that there is a two-player mode, but I wound up finding the action to be too hectic to really be fun to play that way. The Switch version is a great fit for it, as a single Joy-Con can control a ship perfectly, but single-player has always been the most enjoyable way to play. Another perk to the Switch version is the ability to play the game vertically, but there’s no good way to control the Switch as a handheld system when doing so since the customisable controls are quite limited in their bindings. It’s too bad that it winds up being limited here, as the controls could’ve easily worked while still being attached to the system. While the latest package of Ikaruga isn’t quite the grand celebration it should be for a classic title, Treasure’s shooter has aged fantastically well. The puzzle-like shooting is just as thrilling and demanding as it was back in 2002, and it’s sure to challenge any fan of shooters. 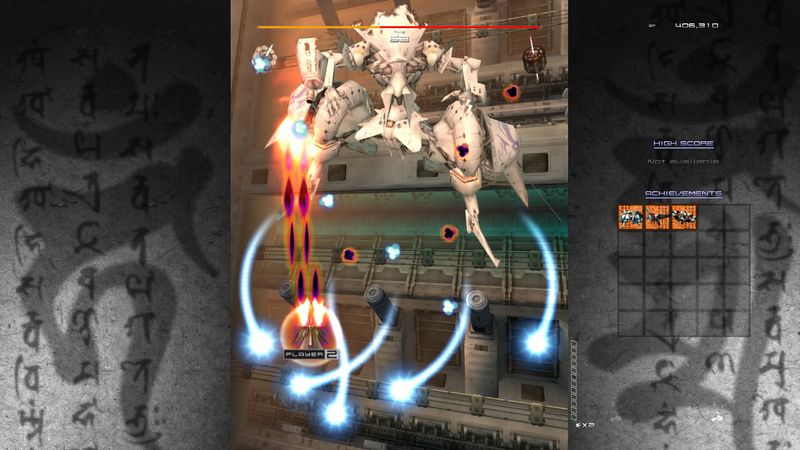 Ikaruga’s themes of polarity help it stand out from the bullet hell crowd, and make it one of the finest shoot ‘em ups that can be purchased on Switch.